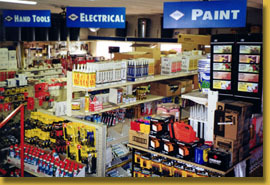 Industrial & Marine Hardware carries a full line of standard hardware supplies and tools. But we're much more than your average hardware store. We also carry lots of specialty and hard-to-find items in stock, plus we can special order almost anything else. 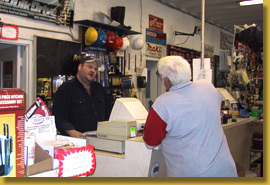 We pride ourselves on offering first-rate customer service, including store charge accounts (for those who qualify), sales reps, free local delivery (for some orders), in-store UPS shipping for out-of-town orders, and the personal attention required to find the right solution to your hardware needs. Looking for a hard-to-find item? We carry complete lines of many items you won't find in many hardware stores: stainless fasteners, pressure washer parts, mobile home supplies, and a huge inventory of marine supplies, just to name a few. Our prices are competitive with the specialty stores, plus we offer the rest of our extensive inventory and our convenient services. If it's not in our inventory, chances are we can still order it for you. 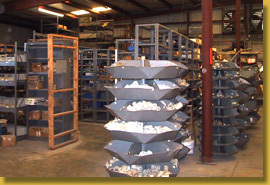 Over three decades of doing business, we made contacts with countless distributors and manufacturers. Contact us with your hard-to-find item and if we don't have it, we'll be happy to try tracking it down and prepare a quote for you free of charge. Customer satisfaction is very important to us. Our experienced sales staff will help you find what you need, whether you walk into the store, call or fax us, or send an email. No order is too large or too small. Free delivery is available for some local orders and we can ship out smaller orders via UPS.